Yes, I did it! Today marked my third week at UCLA, and I still haven't been voted off the hospital! Today was also my sister's birthday. Happy birthday, Jess! The cell phone reception in my room is poor, so Mom and I went out to the large hallway by the elevators to call Jess. I looked out the westward-facing floor-to-ceiling window and saw a vista so utopian I assumed it was merely an oasis. A mirage that my hospital-addled mind had forged in a desperate attempt to transport my spirit away from my body's septic incarceration. Believe me, I am aware of the symbolism of the bars. They symbolize a ladder to heaven? Click on the picture to enlarge it and behold a grander sense of Shangri-la. Yes, they are playing beer pong. Note the one dude sunbathing on the upper porch. Beer pong is fine for underclassmen, but this communications major prefers sun pong. It wasn't an hallucination! Hallelujah! As you can see, it's a chapter of SAE. Better still, they've got their Paddy Murphy sign up. Who's Paddy Murphy, you ask?! Only some legendary bootlegger whom Elliot Ness shot and killed...before tragically discovering--via magical frat hand shake--that Murphy was a fellow SAE brother. I went to a small Quaker college, so my knowledge of Greek life is limited to cultural artifacts. Fraternities have a rich history of documenting their hazing rituals in ceramics. And yes, I'm aware of the symbolism. Ceramics are fragile, like heterosexual male friendship. Oddly enough, SAE is the only fraternity I've ever heard of--because a childhood friend, who wound up in another fraternity himself, said that people refer to SAE as "same assholes everywhere." My knowledge of assholes is also limited to cultural artifacts. But in my brief Internet research about SAE, I was surprised to discover that William Faulkner and Terry Gilliam are brothers. 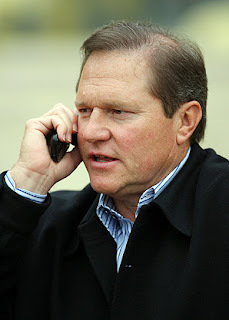 Then again, so is sports super-agent Scott Boras. "Barry Zito's mechanics are fine. Trust me!" Either way, I want to reserve my judgment until I meet an SAE brother. Is President McKinley still alive? As I lie here in bed now, I can hear the faint din of a large college party. Fortunately I was already woken up by a nurse who was unable to draw blood from my PICC line. The nurses all seem to think midlines can't draw blood, whereas the actual PICC technician swore up and down they could. This may turn into a real problem for me. And I'm feeling as though I may be coming down with a cold. Needless to say, part of me is worried the infection is back, which would also be a substantial bummer and would at least mean a new PICC line, if not a postponement of Monday's suregery. Fortunately I am helping my own diagnosis by refusing phlebotomy in the middle of the night. Suffice it to say, the entire day I reminded my nurses, and my cardiologist, that no one had done cultures today. By the end of the day, my nurse said it was okay, that there was no order. So the fact that someone (anonymous CCU resident, thank you) ordered cultures at 11:00 and woke me up is too infuriating to countenance. Mostly, though, I find it so strange that when I looked out the hallway window on Sunday afternoon and saw the foggy, spectral hills, I thought that that reality was about as distant from mine as I could imagine. Then today, looking out the same window at something so entirely different, I had the same feeling. Fraternity parties and clouds are rocking my conceptions of the world around me, and my understanding of my place in it. Truth: Had a dream last night that I had your old pacemaker in me. Speaking of fragile heterosexual relationships. Push fluids and come home soon. My father was a Lamda Chi Alpha, and he had fond memories of going down to the Beta Chi house and urinating upon it with his brethren. My knowledge of Greek life, in toto. I guess my standard opener "what's kicking" or "what's happening" is moot given this blog. I know exactly what is up and what is happening. What I'm doing: at work, trying to get a couple pieces finished before I leave for my high school's 50th anniversary in Vienna. Distracted by CNN. It seems the bulk of their programming these days involves a camera trained on a computer screen. But this morning was a first: a camera trained on a computer screen playing video. I hope to see that exact clip posted on CNN.com tomorrow at which point they'll have to train another camera on it of course. 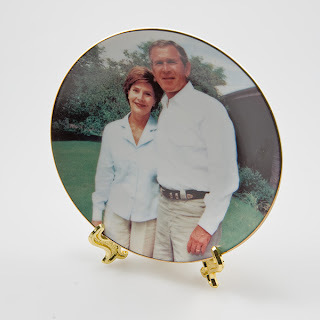 Although not actually dead, Ted Turner is nonetheless rolling over in his grave. I saw Tony and Jesse this past weekend up in Boston, which is how I found out about your current predicament. I'm sorry you have to go through this again. It can't be as easy as you like to pass it off as: I've always been very impressed by your practical, hopeful, low-key attitude concerning matters of your heart. Anyway, the bumps aside, I hope things are going well and you're not too apprehensive -- I know I'd be. Hope this gets to you before the surgery this monday: good luck. If not, then I hope this finds you recovering quickly. I'm thinking about you, friend. I've got my fingers crossed and I'm looking forward to talking to you very soon. My brother was a TKE, and when I was a kid, I pronounced it Teek. He married Donna Kay, who people called DK, and I changed it to Deek. It took him seven years to finish college. That's about where my knowledge of Greek life ends. In all seriousness, hope you are thriving. Just wanted to say hi. Randomly came across your blog, and found it hilarious. Also, looks like we're neighbors. I live right across the street. Gabe, thanks for the well wishes. Anna, ditto to you. Are you studying at UCLA? It's hard for me to imagine non-UCLA folk living in Westwood. And manofstraw, forgive me.